Picea glehnii Masters can grow in strongly acidic volcanic ash soil (pH 3.6) in northern Japan. We compared needle longevity, photosynthetic rate, and concentrations of elements in needles, in mature trees of P. glehnii growing in volcanic ash soil and in brown forest soil (pH 5.4). 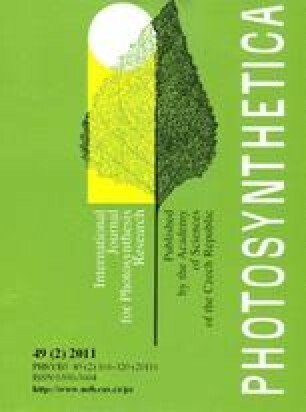 P. glehnii growing in volcanic ash soil showed suppressed photosynthetic rate and growth by the deficiency in nitrogen compared with its growth in brown forest soil. However, the younger needles of P. glehnii growing in volcanic ash soil maintained a high photosynthetic rate, as a result of large amounts of remobilized nitrogen from senesced needles. Needles of P. glehnii growing in volcanic ash soil did not show deficiencies in Ca, Mg, or K. Moreover, Al was at low levels in the needles, suggesting that P. glehnii was able to avoid Al toxicity by Al exclusion. P. glehnii thus exhibits great ability to adapt to an acidic environment. We are grateful to the technical staff of FSC, Hokkaido University, and Ashoro Research Forest, Kyushu University for their assistance in this research. We thank Ms. S. Takeda, M. Tanigawa, and N. Aoki for their assistance with measurements. This study was supported by grants from the Japan Society for the Promotion of Science (to M. K. and T. K.), MEXT (Type B), and the Japan Science Society. Japan Meteorological Agency: Climate statistics. — http://www.data.jma.go.jp/obd/stats/etrn/index.php, 2010.